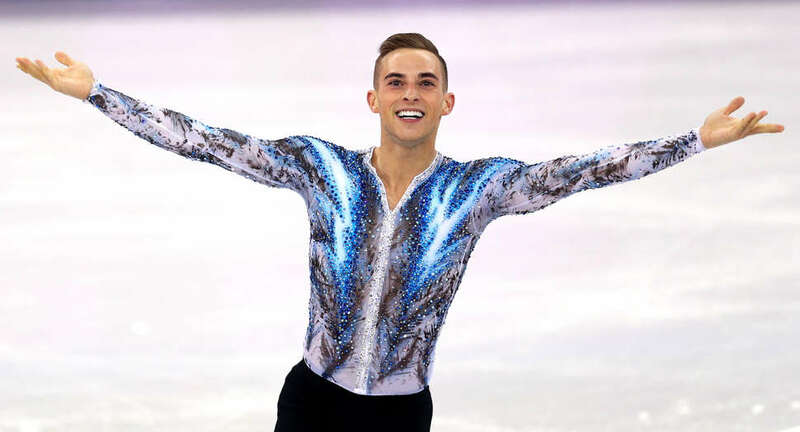 Adam Rippon's world class figure skating skills already helped earn Team USA an Olympic medal, but he also deserves a gold medal just for being the most charmingly hilarious personality and interviewee at the Games. The 28-year-old openly gay athlete made his primetime Olympics debut on Monday, delivering not only a knockout performance on the ice, but also a couple incredible live interviews packed with enough wit, swagger, and Xanax jokes to instantly mint him America's sassy new sweetheart. The great sound bites keep coming from Rippon, who gave one of his most hilarious and soulful monologue yet during a recent press conference. "I think that my fashion sense, like, 8 years ago, I was trying to be, like, straight boy chic. So, it was sort of, like, a disaster." - USA Today Sports.